Over the past 24 hours, since Sunday morning, two Ukrainian fighters suffered combat injuries due to enemy attacks in the conflict zone in Donbas. 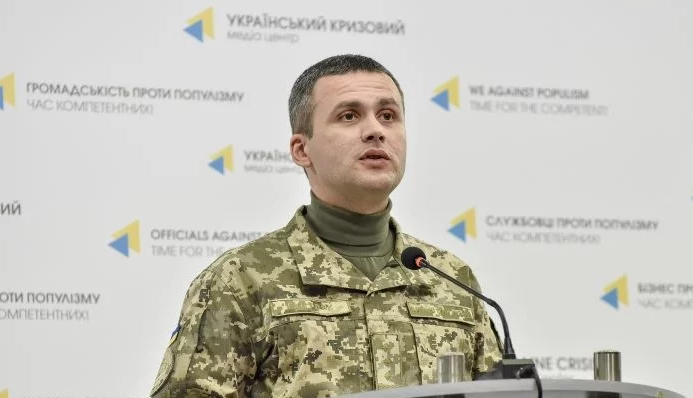 Dmytro Hutsulyak, the defense ministry spokesman said that at a briefing in Kyiv on Monday. 'None of the Ukrainian troops deceased over the mentioned period; two men sustained wounds. They both are in moderately grave condition', he said. The official also confirmed that since the morning of April 15, the enemy shelled Ukrainian positions 59 times; all attacks were adjusted. In 24 cases, the government forces returned fire. In Donetsk sector, the militants opened fire on the defenders of the village of Pavlopil from 120- and 82-millimeter mortars. 'In addition, from the 82-mm mortars, weapons of the AFV, rocket-propelled grenades, heavy machine guns and small arms, enemy fired defenders of Pisky, and grenade launchers and small arms were used by them near Vodiane and Avdiivka. Butivka mine defenders also got under the grenade launcher fire, and a sniper fire was noticed near Novotroitske,' the headquarters of the Donbas conflict informs. 'In the Luhansk direction, the aggressor used the forbidden 120 and 82 mm mortars on the defenders of Luhanske and Svitlodarsk. From the grenade launchers and heavy machine guns, they attacked our positions near Novoluhanske, and also from the IFV arsenal fired Luhanske and Troitske,' reads the message.